Nostalgia marketing works when you get people attracted to a modern idea that reminds them of positive memories from cultures of the past. A recent example that swept the entire globe in a matter of a few days was Pokemon Go. The Pokemon culture was the emotional nostalgic hook, while the virtual mobile app was the modern relevance (essential tie to make nostalgia marketing successful) that boosted Nintendo's market value to $18 billion in two weeks. 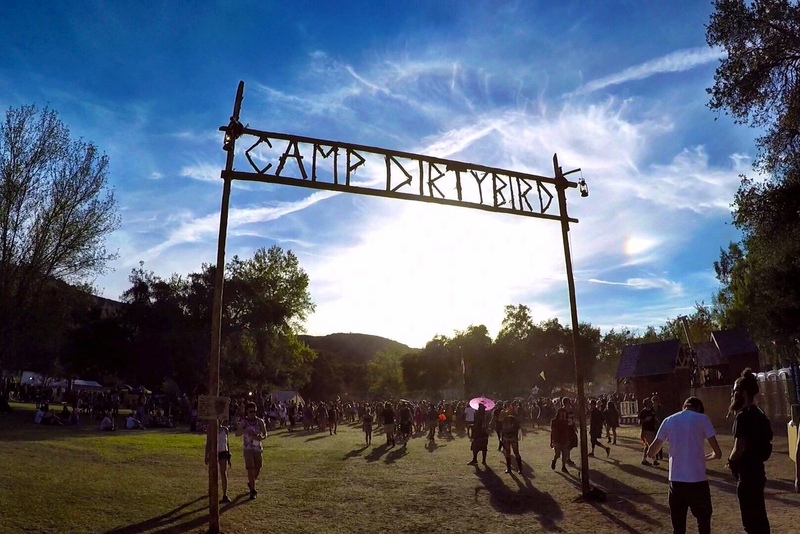 Whether intentional or not, Dirtybird and the DoLaB successfully instilled this principle in the rapidly growing festival scene and as a result we were given Dirtybird Campout. This was the second year of the fabulous orchestration and tickets (≈5k) were sold out well ahead of schedule. The nostalgia brought forth was the setting of overnight summer camps we went to as kids and the modern relevance came in the form of the growing popularity of camping music festivals, high end sound and lighting systems, and some really, really, REALLY good house and techno music dropped by Dirtybird visionary Claude VonStroke, Green Velvet, Ardalan and many others. Each festivalgoer was handed one of four colored bandanas at the Games Headquarters. A giant scoreboard above the headquarters kept track of each team's progress. After being chosen for Team Green the second year in a row, I raced to the field to get in on the potato sack relays followed by a water balloon toss tournament. The joy of feeling like a kid again didn't stop anytime soon. There was dodgeball, ultimate frisbee, kickball, volleyball, archery, boat relays, and moonlight capture the flag to tickle just about every outdoor childhood memory imaginable. Although VonStroke couldn't quite yank Team Red to victory during tug-of-war, his team ultimately won the games over the course of the three days (he claims it wasn't rigged!). The campout designated an area constructed of three tall tipis that featured open arts and crafts every morning followed by guided tie dying and screen printing of plain white garments brought by the festival goers. We split the tasks by day. 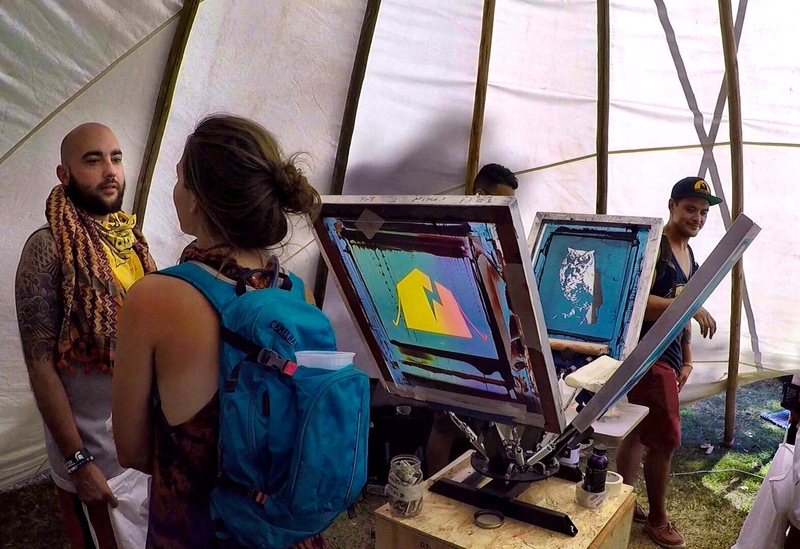 Saturday morning, we quickly made our way towards the middle tipi to decorate our shirts with the classic tie dye swirl (something I've been waiting a full year to do as I regrettably missed out on the activity last year). Sunday morning, we got a late start and in turn had to patiently wait in line for the screen printing. Fortunately for us, while waiting we got a chance to meet the tall vibrant Floridian glitter kitty who became a celebrity on his own as he was nominated to race in the paddle boat with VonStroke. After being glitter bombed, we finally screen printed the Dirtybird tent logo on our shirts just in time before they closed shop. Success! Chris Bello, a fellow camper from Arizona, made the wicked realization that the attendees of the campout were all partaking in a massive "show and tell" presentation, much like we did every Friday morning in elementary school. The dino costumes, the hula hoops, the oversized fork, and the endless counts of totems and toys in the air were all brought to express unique personalities and extra-original interests. 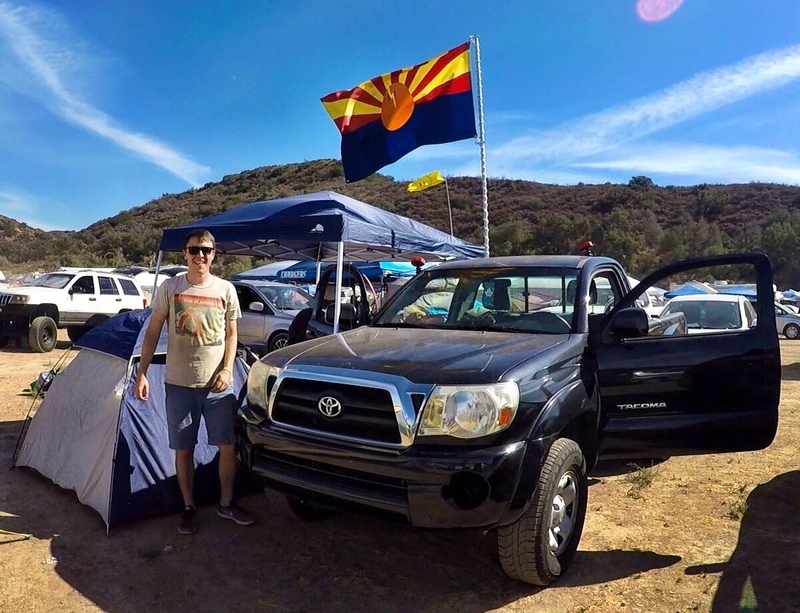 Chris himself brought the customized Arizona flag with an orange Dirtybird egg in the center to represent the AZ Dirtybird Campers who attended at a record high this year. The Dirtybird artists partook in the show and tell through their music and dedicated connection to their fans. They did much more than just play during their set times. Billy Kenny was caught spinning a late set at a renegade camper and Justin Martin joined his brother Christian at 6 AM Saturday for a second-year drum & bass set (undoubtedly due to the excessive requests from the fans) which hopefully makes it an ongoing tradition from now on. Even vocal twister Reggie Watts, although not part of the Dirtybird label, took the time to intimately delight a lucky crowd after hours on Saturday by performing his magic while sitting in a golf cart, speaker strapped to the roof, pizza in hand, making us all feel very special. None of this would have ever worked as well if the DoLaB hadn't themselves participated in the show and tell. The production they brought to this event well exceeded expectations. The Treefort, the Birdhouse, The Bunkhouse, the Sit Commune, and the Late Night Lodge made for an unforgettable experience that us kids cannot wait to reignite next year.